These easy-to-assemble stanchions provide an economical alternative to Polished Chrome Stanchions. 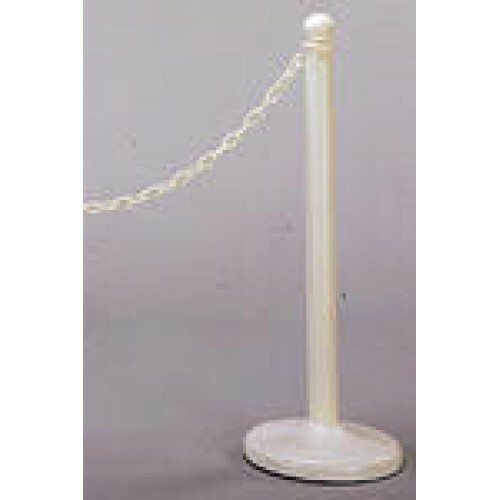 These stanchions are ideal for indoor and outdoor use. 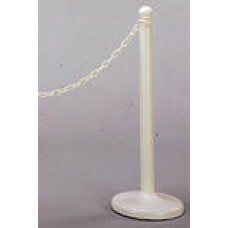 Plastic stanchions are available in either white or black. Plastic chain is available with 2-inch links in white, black and yellow. NOTE: Stanchion bases may be weighted with sand or concrete for extra stability. Plastic Stanchions will not accept signs.